Navy Yard is simply drowning in goodness. 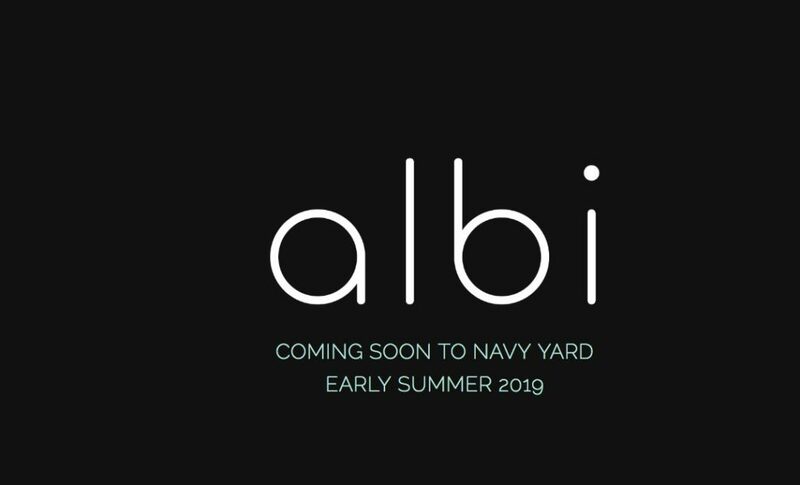 “Chef Michael Lee Rafidi, one of Washington, D.C.’s most promising young culinary talents, will open his first solo restaurant in summer 2019 in the city’s burgeoning Navy Yard neighborhood. Albi, Arabic for “my heart,” will offer a fresh expression of Modern American cooking inspired by Rafidi’s Middle Eastern heritage and informed by Mid-Atlantic ingredients. Located on the corner of 4th and Tingey Streets in Southeast D.C.’s The Yards development, the 4,800-square-foot space also encompasses a second location of Maxwell Park, Brent Kroll’s adventurous wine bar run in partnership with top sommeliers Niki Lang and Daniel Runnerstrom. Together, Rafidi and Kroll will bring to D.C. a dual-concept experience that celebrates regional farms, world-class wines and the diversity of Levantine food and culture. Rafidi, who was raised in Montgomery County, cemented his impact on D.C.’s food scene when he returned from San Francisco in 2017 to helm the kitchens at Arroz and Requin, where he impressed diners with his contemporary approach to Spanish, Moroccan and French cuisine. Albi will similarly blend a reverence for global food culture with a refined and current point of view, focusing on the Levant region of the Middle East. Pulling from his recent travels through Lebanon and Morocco, Rafidi will reimagine the deep, diverse traditions of Levantine cuisine to produce a vegetable-centric menu that melds Middle Eastern flavors with New American cooking. These seasonally driven, artfully presented dishes will lean on produce from local farms, including Mustard’s Farm in Lexington, Maryland, where farmer Mike Mustard will work with Rafidi to grow produce specifically for Albi’s menu. The chef will also oversee the menu at Maxwell Park’s adjacent outpost, which plans for a selection of snacks, cheeses and charcuterie to enhance the wine-focused experience expertly curated in Kroll’s hands. Kroll will direct the wine program at Albi as well. Situated on the ground level of The Guild, a mixed-use residential and commercial building currently underway in The Yards, Albi and Maxwell Park will occupy a shared footprint designed by D.C.-based architecture and interiors studio Grupo-7. Albi’s space includes a 76-seat dining room and dedicated bar area, separated from the 30-seat Maxwell by a private dining room. Patio seating will be available in warmer months.